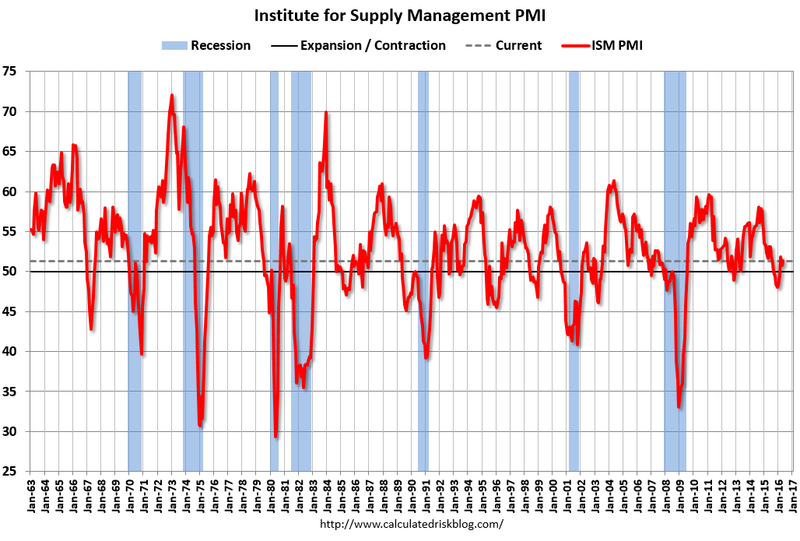 “The May PMI® registered 51.3 percent, an increase of 0.5 percentage point from the April reading of 50.8 percent. The New Orders Index registered 55.7 percent, a decrease of 0.1 percentage point from the April reading of 55.8 percent. The Production Index registered 52.6 percent, 1.6 percentage points lower than the April reading of 54.2 percent. The Employment Index registered 49.2 percent, the same reading as in April. “-Bradley J. Holcomb, CPSM, CPSD, chair of the Institute for Supply Management® (ISM®) Manufacturing Business Survey Committee. “Manufacturing registered growth in May for the third consecutive month, as 14 of our 18 industries reported an increase in new orders in May (down from 15 in April), and 12 of our 18 industries reported an increase in production in May (down from 15 in April). ISM reports that of 18 manufacturing industries, 12 reported growth in May; the following are the ‘Growing Markets” served by our precision machining shops: Fabricated Metal Products; Plastics & Rubber Products; Computer & Electronic Products; Miscellaneous Manufacturing; Electrical Equipment,Appliances & Components; Machinery; and Primary Metals. Markets that we serve that did not grow include: Petroleum & Coal Products; Transportation Equipment; Chemical Products; Furniture Manufacturing. PMPA remains optimistic for a pick up in the second half of 2016, which is supported by this positive ISM PMI report. This entry was posted on Wednesday, June 1st, 2016 at 11:56 am and is filed under Front Office. You can follow any responses to this entry through the RSS 2.0 feed. You can leave a response, or trackback from your own site.